Lord Buddha preached his discourse and noble truths around 6th century BCE which garnered immense following and support from people across the globe. The eastern side of India is packed with significant Buddhism centres and spiritual sites which are visited by Buddhists from all walks of life. 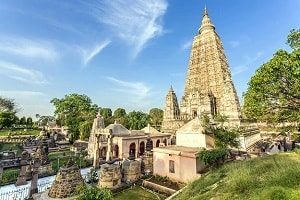 Buddhists who are on a quest to attain personal enlightenment and seek spiritual answers or who just want to experience the life of Lord Buddha closely and pay respects to him, our India and Nepal Spiritual Buddhist tour package is the perfect choice. Taking you through the journey of a lifetime which will evoke a feeling of inner peace this trip can potentially be life changing. This 12 days and 11 night’s journey to some of the most religious and highly important sites of Buddhism will bring serenity and tranquility in your mind. If you are looking for a different and a new type of an experience while travelling, this tour package will definitely bring peace to your soul. Once you arrive in Delhi, where our already available tour representative will smoothly to your allotted hotel. Here you will be spending your night which will also include a dinner meal. Your morning time will be reserved for having your breakfast before heading out towards Agra. 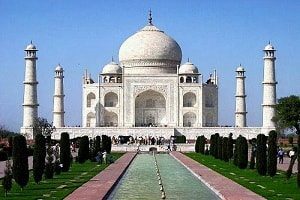 Once you reach Agra you will be smoothly checked into your hotel and you will get an opportunity to freshen up yourself. Later in the afternoon you will be taken out for a visit to the magnificent 7th wonder of the world, Taj mahal. Your afternoon and evening time will be reserved for you to explore the entire Taj Mahal complex. It is a mausoleum which is constructed in ivory white marbles and is truly one of the most splendid works of architecture. After spending your time marveling at Taj Mahal unparalleled beauty, you will be finally headed to your hotel where you will be given dinner and stay in for the night. After you complete your breakfast in the morning you will be preceded towards the city of nawabs, Lucknow. On your way you will be made to visit Sankassa, which is an ancient city and was frequently visited by Lord Buddha himself. It said that Lord Buddha came down from heaven at this very place 7 years after his death. Later, emperor Ashoka developed this place and installed his famous Ashokan pillar along with building a stupa here as his way of showing respect to the spiritual leader. You will be served some packed lunch after visiting this place and your journey towards Lucknow will continue. 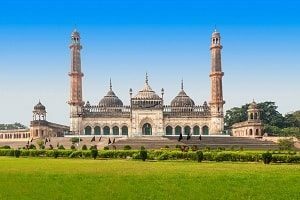 Once you reach Lucknow you will be taken to your allotted hotel where you will be given dinner after which you will stay in for the night. Your morning time will commence with departure to Varanasi by road, after you have your breakfast meal. This journey will take almost 7 hours to reach, and post arrival you will be checked into your hotel through our tour representative’s assistance. The remainder of your day is free for you to do your leisurely activities like exploring the local bazaars, marketplaces and shopping for souvenirs and other local items. After spending your day in a leisurely manner you will head back to your hotel for dinner followed by a stay in for the night. Your morning will kick start on a refreshing note by witnessing the glorious sun rise while on a boat ride on the holy Ganga River. You will then be served breakfast in your hotel after which you will start your journey towards one of the holiest and oldest city in India, Bodhgaya. On the way, you will be made to visit the exact spot where Lord Buddha gave his very first sermon after gaining his enlightenment, Sarnath. This is known to be one of the holiest and the most sacred pilgrimage destinations among Buddhists and being located on the confluence of Rivers Ganga and Varuna it is also equally significant for Hindus. Finally your day will conclude once you arrive at Bodhgaya and be checked in to your allotted hotel where along with a night’s stay you will also be served dinner. After completing your hearty meal in the morning, you will be taken to one of the most highly relevant sites for Buddhists, Mahabodhi temple. Also known as the “the temple of great awakening” it houses the exact place and the bodhi tree under which Lord Buddha attained his enlightenment or the perfect insight. This is a UNESCO world heritage site and is visited by travelers and Buddhist spirituality seekers from India as well as from abroad which constitutes places like Japan, Thailand, Korea and Central Asia. Your next stop will be the famous Sujata temple, which is dedicated to the tribal woman named Sujata who gave Kheer to Lord Buddha when he was tired and starving as a result of days of continuous travelling. The Kheer gave him strength and power to carry on with his journey towards enlightenment. Post lunch you will be taken to the great Buddha statue, which is a 64 feet tall statue of Lord Buddha sitting in a meditation pose. This place will definitely make you feel a sense of peace and tranquility taking over. Your next spiritual destination will be Daijokyo Buddhist temple, which is a 2 storey building made in Japanese architectural style and houses a bronze image of Lord Buddha in a meditating posture. A visit here will cleanse your soul and enrich your spirituality from within. After a day well spent and filled with immense spiritualism you will be transferred to your hotel where a dinner will be waiting for you followed by staying the night in. Morning time will be reserved for a visit to two of the most relevant Buddhist sites which are Rajgir and Nalanda. These two places are located in close proximity to each other. The Vulture peak at Rajgir is Lord Buddha’s one of the favorite places from where he gave most of his sermons and has been the site for a number of his discourses. After visiting this divinity filled site, you will be directed towards one of the oldest university in the world, Nalanda. This UNESCO world heritage site has been the centre of formalizedVedic and Buddhist learning from 5th to 1200 century ce. Learners flocked this institution from Korea, Japan, Tibet, China as well as Central Asia. After having a soulful day you will finally be assisted back to your hotel at Bodhgaya where you will have your dinner and stay in for the night. This day is reserved as a travelling day where you will be transferred from Bodhgaya to Kushinagar. You will be served a packed lunch meal on your way. 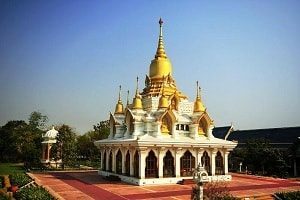 Once you arrive at Kushinagar you will be directed straight towards your allotted hotel where you will be checked in for the night along with dinner. Your day will kick start with a healthy meal before heading out for an excursion of Lord Buddha’s place of death. Starting with a visit to the sacred Mahaparinirvana temple, the spot where Lord Buddha took his final breath. With an aim of paying respect to Lord Buddha there is a 6.1 metre long Buddha statue where he is shown in a reclining position towards his right which, according to the inscription located below the statue dates back to the 5th century. Next in list will be the Ramabhar stupa, which is the exact spot where Lord Buddha was cremated and he achieved salvation or commonly known as Mahaparinirvana. This site is also one of the main attraction and a highly revered pilgrimage sites for individuals following a Buddhist way of life. Monks and Buddhism followers can be found here meditating along the sides of the stupa who offer their prayers to their spiritual and religious leader. Your next stop will be at one of the most visited sites in Kushinagar i.e. Japanese temple. It was excavated by archeologists of the recent times who discovered structures, temples, idols among other ruins. This temple was also once a part of the flourishing kingdom of Malla and now houses the Ashta Dhatu (eight metals) statue of the spiritual lord. Finally you will commence your journey towards Lumbini along with some packed lunch for the way. 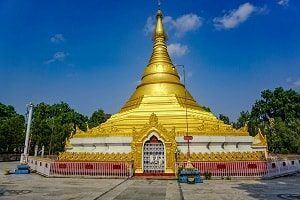 Once your formalities are checked and completed on the India Nepal border you will straight be taken for a visit to the Birth place of Lord Buddha, Lumbini. You will be soaked in immense spiritualism and a one of its kind experience at the place where Lord Buddha was born. Each Buddhist makes it a point to pay this place a visit at least once in their life as a part of their pilgrimage. It is considered as the Mecca for Buddhists and one of the four holiest places in Buddhism. After taking in the wondrous experience you will be assisted to spend the night in your allotted hotel, which will also include a dinner. Your morning time will commence by having your breakfast and heading out for Shravasti, where Lord Buddha is said to have spent some of his time here. On your way, you will be made to visit Kapilavastu – the place where Lord Buddha’s childhood days as Prince Sidhartha Gautam was spent before he abandoned his life here at the age of 29 to pursue his life as an ascetic. It is believed that after attaining enlightenment he paid a visit to Kapilavastu and several people converted themselves to Buddhism hearing his sermons and discourses. You will finally continue your journey towards Shravasti where upon your arrival you will be checked into your hotel. Later in the evening you will be made to visit the exact place where Lord Buddha spent 24 days of monsoon. Here only the ruins of his hut where he stayed is available which is often visited by Buddhist preachers and followers. Along with paying a visit to the said site you will also be taken to the nearby sacred place of Ananda Bodhi tree. You will finally conclude the day by checking in to your hotel and staying there overnight after having your dinner. Your return journey will commence early in the morning, which takes 5 to 6 hours by road. Once you arrive in Lucknow you will be served lunch and transferred to the railway station afterwards. After boarding your train headed towards Delhi you will be served your dinner while on the go. Upon arriving in Delhi you will be made to stay at a hotel where you will be spending your night. Early in the morning post breakfast you will are free for half a day for doing your leisurely activities like shopping in the nearby market places, bazaars and shopping areas for your loved ones. You can also shop for some local spices, souvenirs and other gift items. In the afternoon you will be transferred to your bust stop/railway station or airport form where your onward journey to your destination will carry on.